Don't Miss Out On This Custom Home In The Popular Gated Community Of Falcon Hills! Location, Location! Close Access To 470 & Shopping! Custom Features Throughout! Open Floor Plan! Lots Of Light With Walls Of Windows! Newly Refinished Hardwood Floors Throughout! Formal Living With Gas Log Fireplace Is Open To The Dining Room With Access To The Large Back Deck! Gourmet Kitchen With Custom Cabinetry Featuring Ebony & Glass Accents! Top Of Line Appliances! Large Center Island That Can Seat Six! Sit Back & Relax In The Open Sunken Family Room With Gas Log Fireplace & Cherry Coffered Ceiling! The Main Floor Media Space Is Perfect For Movies Or A Kids Retreat! 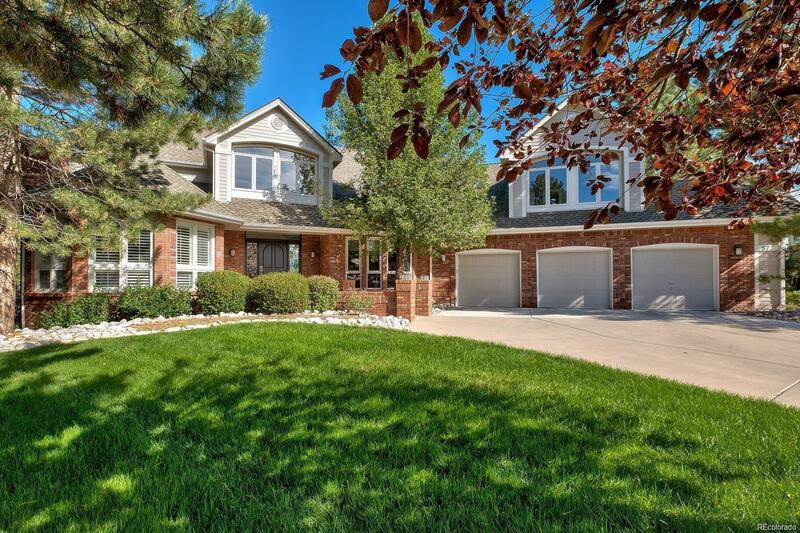 You Will Love Colorado Summers Out On The Large Wrap Around Back Deck! Master Suite Has Private Deck Overlooking Beautiful Mountain Views! Master Bath Has Soaking Tub & Dual Closets! Large Secondary Bedrooms! Private Guest Suite Has Private Bath! 2nd Floor Laundry! Finished Walkout Bsmt With Over 2000 Sq Ft Of More Living Space!